The unmanned mission was scrubbed on Thursday after a series of setbacks. Why is Orion so special? If all goes according to plan, this could be the spacecraft that could one day carry astronauts to Mars. Check out more on why Orion is "not your granddaddy's spacecraft" here. Good news! NASA says the weather has cleared. It's looking even more likely Orion may be set for a 7:05 am blast off. #Orion has started the built in 15 minute hold. We'll start the terminal countdown at the conclusion of the hold. Want to watch the big moment live? Check out ABC News' live stream. 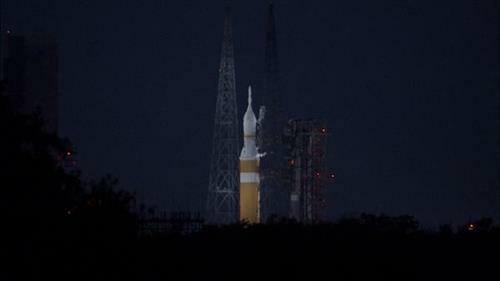 Orion will launch on a Delta IV Heavy Rocket from Cape Canaveral, Florida. While in orbit, it will circle Earth two and a half times before splashing down in the Pacific Ocean, 600 miles off the coast of California. 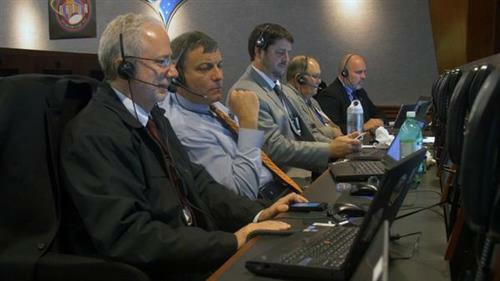 The NASA engineers are now completing their polls to make sure its a go. So far, everyone has given the thumbs up for launch. T-12 minutes until lift off. If all goes according to plan, Orion will have one more test flight in 2018 before it is cleared to carry astronauts into deep space. If you're wondering what that bright red flame near the launch pad is, here's the answer from NASA: "The red flame is from the hydrogen flare stack. The burn off of this hydrogen prevents a detonation hazard on the pad." #Orion launch director gives permission to launch. We're go for launch! Three minutes until lift off! ABC News is live streaming from Cape Canaveral here. Don't miss the big moment! Here's some crazy perspective: Orion's altitude is the distance from the Florida Keys to Bangor Maine, ROUND TRIP! Orion is now flying free. Just 57 minutes until splashdown. NASA is expecting a near "bulls eye" landing. The farther you go, the faster you get, the hotter it is during re-entry. For this unmanned test, Orion will experience temperatures twice as hot as molten lava. How do you slow down a capsule hurtling back to Earth at 20,000 mph? Along with some maneuvers, 11 parachutes help do the trick. Next milestone: A 10-second firing of Orion's thrusters. This will help make sure the capsule is oriented in the best possible way for re-entry. 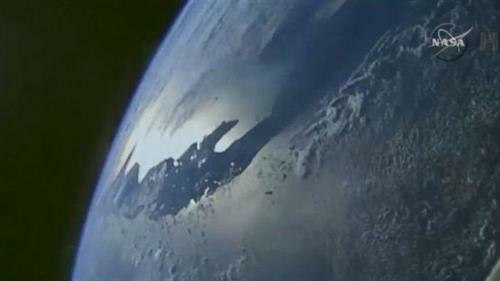 Orion is currently flying at 1,643 statute miles over the Pacific Ocean. Orion is now 400 miles above the Earth. It won't be long until splashdown! Orion is going through a brief loss of telemetry, which NASA anticipated. The capsule is at the point right now where it will be reaching its peak heating. 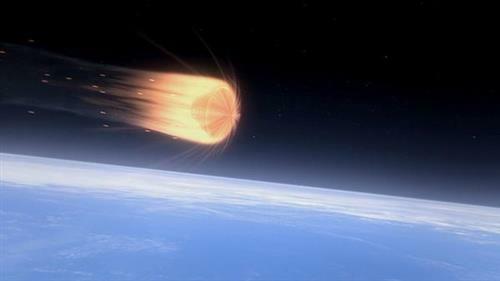 Orion is traveling at a velocity of 84 percent of the speed of a spacecraft returning from the moon. Connection is re-established, blackout over. Just seven more minutes until splashdown. 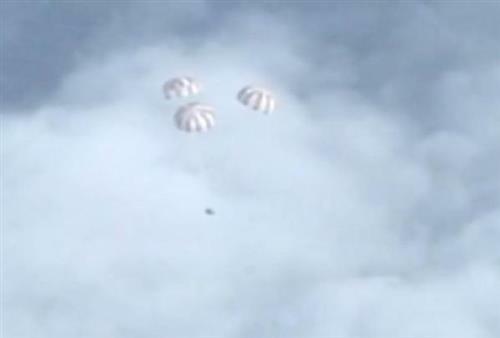 #Orion jettisoned its forward bay cover to expose 8 parachutes to slow it from 300 to 20 mph. Just 15,000 feet until splashdown. The main shoot is out and we can now see Orion coasting down toward the Pacific Ocean. What a moment. The conditions couldn't be more perfect for Orion's splashdown. One thousand feet left for "America's new spacecraft." Splashdown confirmed! 11:29 am ET. Orion is stable and upright. Next step: Recovery. What's next? The USS Anchorage will now recover Orion from the Pacific Ocean. 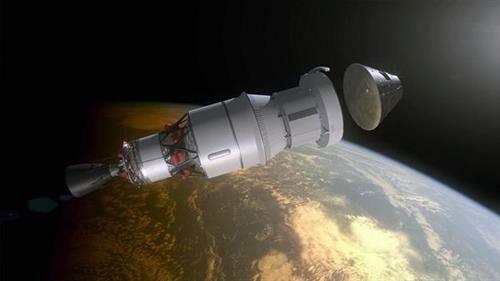 NASA and engineers at Lockheed Martin will analyze the data from Orion's maiden voyage. It's another step closer to a manned mission to Mars. I'm so happy right now. This has been WAY too long in coming. I'm glad I lived to see it.